Our country was transformed by the events of June 5, 1968 — a transformation that continues to this day — and I was among those who were changed by it. In early June 1968, I had just been elected president of the student government at the University of California, San Diego. A friend who was managing the campaign of a long-shot candidate for U.S. Senate thought I would enjoy a peek at a “real” political campaign and invited me and a few other friends to join him at the Ambassador Hotel in Los Angeles for the election night party. We drove up that afternoon, checked into our room at the hotel and went directly to the election night headquarters for my friend’s Senate candidate, Alan Cranston. The headquarters for this under-funded campaign was a single hotel room, two double beds and a television. There were fewer than 10 of us in the room when newscaster Chet Huntley announced on NBC television that the network projected Max Rafferty, a far-right fringe candidate, had upset the incumbent senator from California, popular moderate Tom Kuchel, for the Republican nomination. What happened next marked the first of many I’ve experienced over the years — that magical moment when a candidate first realizes they will win the election. Our host, Cranston, the little-known state controller, and I had the chance at that moment to see in his eyes the sudden recognition that he was going to be elected to the U.S. Senate. It was pretty heady stuff for a 19-year-old college sophomore, and a formative insight into the struggle for the soul of the state Republican Party. But what happened next was even more formative. After a brief celebration, we went back to our hotel room to watch the remainder of the election returns on television. 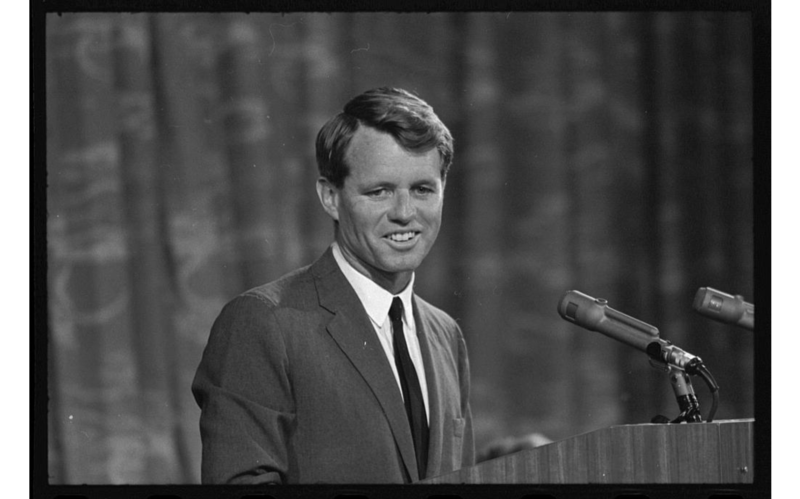 Later that evening, I watched on television as Bobby Kennedy addressed his supporters in the nearby ballroom. Like many college students that year, I had supported Minnesota Sen. Eugene McCarthy’s insurgent campaign for the Democratic presidential nomination. For many McCarthy supporters, Kennedy was viewed as a late-comer to the anti-war movement whose motives were suspect. But there had been something about Kennedy’s impromptu, late-forming campaign — his loss in the preceding Oregon primary, his almost desperate dash through California, the remarkable crowds his motorcades began drawing in the San Francisco Bay Area and in the Central Valley and the pictures of tens of thousands of people lining the streets of Los Angeles just to see and touch him — that suggested something remarkable was happening and that there really was a possibility for change. Our hotel room was across the hall from the ballroom’s rear exit, so we heard the sound of gun shots and watched as a struggling Sirhan Sirhan was dragged from the ballroom kitchen to the adjacent elevator. We waited, in a state of shock, as the Secret Service shut down the hotel, barring anyone from entering or leaving. We heard the announcement that Kennedy had died and tried to make sense of what we had just witnessed. Early the next morning the hotel was re-opened and we were able to drive back to San Diego. I was scheduled to chair my first meeting of our student senate that morning. When I got to the meeting room, the soon-to-be-appointed new chancellor, William McGill, embraced me and offered words of condolence. The year that followed was filled with conflict, disappointment and dysfunction. Our country was transformed by the events of June 5, 1968 — a transformation that continues to this day — and I was among those who were changed by it. Tom Shepard is the former mayor of Del Mar and a political consultant.